Many great early men and women saints left their lives behind to go and live a secluded life in the desert. 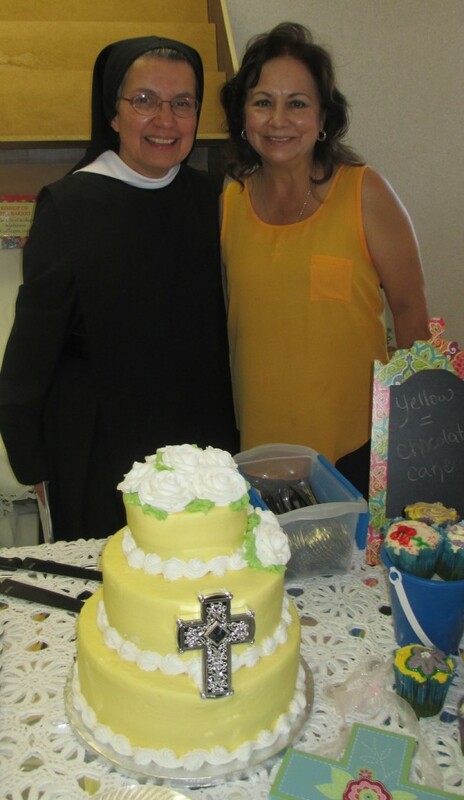 In February of 1990, one group of Benedictine nuns in New Mexico followed these saints’ example, and this year celebrated their 25th anniversary as a formal community. The Benedictine order began in the 6th century A.D., when siblings and Saints Benedict and Scholastica started the formal monastic community in the Church. Natives of Italy, Benedict began an order for men and Scholastica an order for women. From Benedict’s famous monastery at Monte Cassino, which still stands today, the Benedictine order spread throughout the world in the following centuries. The seven nuns who founded Our Lady of the Desert Monastery answered that call. For several years the community moved between various New Mexico towns before the nuns were invited to share space with the monks of Christ of the Desert Monastery, a community of Benedictines settled in Abiquiu, NM in the Archdiocese of Santa Fe. 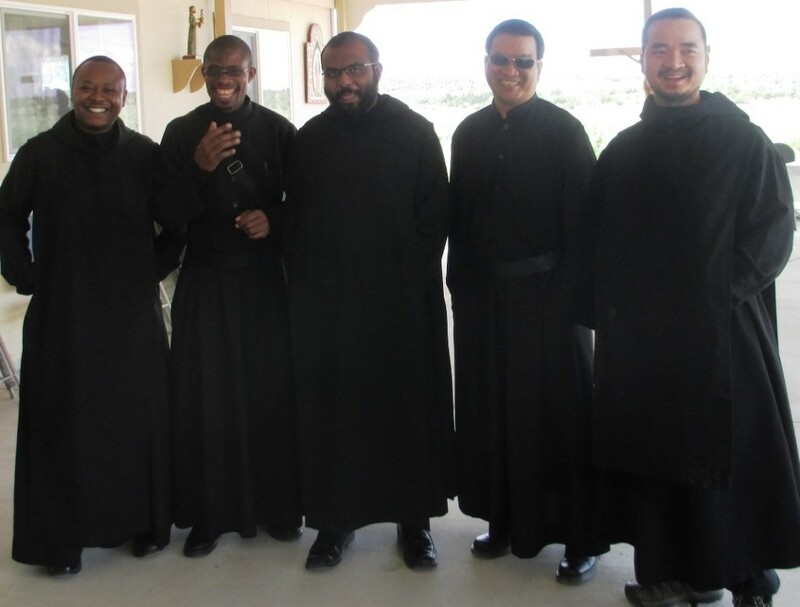 Monks from Abiquiu visit Our Lady of the Desert Monastery during the 25th anniversary. Now, they live in a modest yet welcoming community, 30 miles to the east of Blanco, NM, in the Diocese of Gallup. “We’ve come to the monastery to seek God, and well, have we found him?” asks Mother Mary Benedicta, the superior of the nuns. She laughs as she ponders the question. Mother Benedicta and her sisters now have a convent, several guest houses, a small gift shop, gardens, and a chapel. 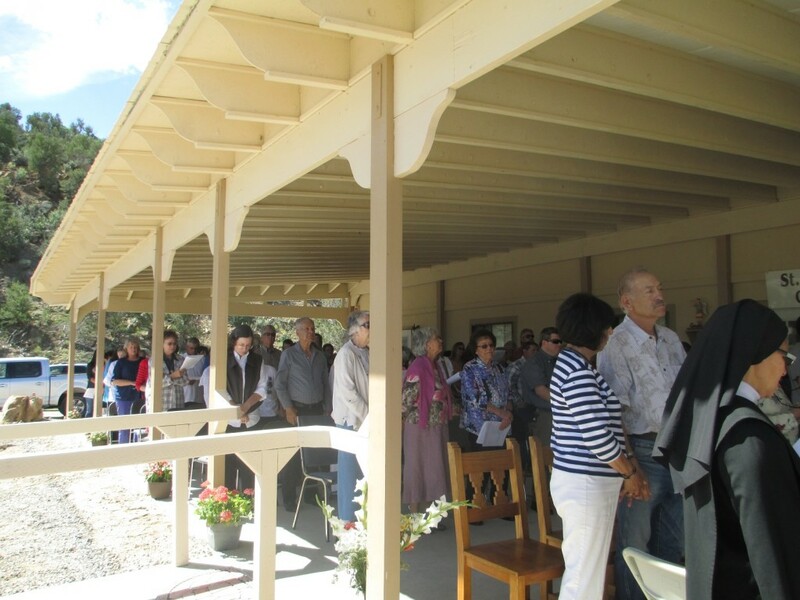 The monastery has come a long way since 2008, when the Benedictines moved from Abiquiu to the Diocese of Gallup, at the invitation of the pastor at Aztec, Fr. James Walker. The nuns’ chapel was too small to hold all the guests, so Mass was celebrated outside. Although the official founding anniversary was in February, the nuns decided to hold the celebration in the warmer months. The big event of the day was a Mass celebrated by Bishop James Wall, and attended by two abbots from Christ in the Desert monastery. Throughout the day, visitors were encouraged to walk around the grounds and buildings. “We’re just so blessed to be here!” Mother Benedicta said, noting that the nuns now own all of the buildings and property. Mother Benedicta was happily surprised by the number of old friends who attended the celebration. In the meantime, they live in the moment. As the nuns tend the gardens, welcome visitors, and pray the Liturgy of the hours, they do the work of God.